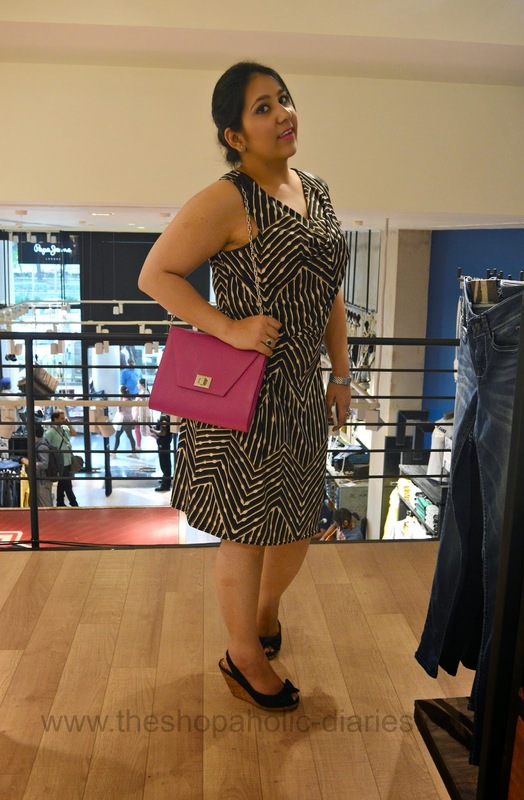 Pepe Jeans Flagship Store - Connaught Place Launch | The Shopaholic Diaries - Indian Fashion, Shopping and Lifestyle Blog ! Wish you all a very Happy Saturday and hope you enjoy this weekend. A couple of weeks back I was invited over for the launch of the Flagship store of Pepe Jeans at Connaught Place, Delhi which is based on their global store design concept. The store layout is a replica of the brand’s international stores. The new Pepe Jeans store provides a vibrant source of pioneering youth culture and the perfect gateway to an all new internationally driven experience of fashion. Going forward Pepe Jeans will be aligning all its future stores to its international format. On this occasion me and fellow fashion bloggers turned up to check out their latest collection and the exciting new store. The store was inaugurated by popular designer Mandira Wirk and Delhi’s No. 1 radio channel FEVER 104 had shifted its studio into the store for a live 4 hour show. RJ Khurafati Nitin hosted the show and interacted with the guests present at the store. Spread across 3500 sq. ft, the new Pepe Jeans store at F-Block, Inner Circle, Connaught Place, Delhi promises to be one of the most innovative, contemporary and universally designed concept stores, well designed with props, VM elements, innovative fixtures and various wall displays, on par with global standards. The most highlighting part of the store is the distinct denim wall with a huge white union jack background that highlights the new fits, styles and washes introduced this season. The Spring Summer ’14 collection features runway-inspired floral prints, bold stripes and bright pops of orange, green, blue and silver that are set against a palette of navy blue and tiered tones of white. The collection is all about contemporary fashion for the strong and independent youth with an urban attitude and a romantic twist. If you are out shopping at CP, Delhi anytime soon, I will surely recommend you to check out Pepe Jeans' latest store and collection there, you'll like it for sure.